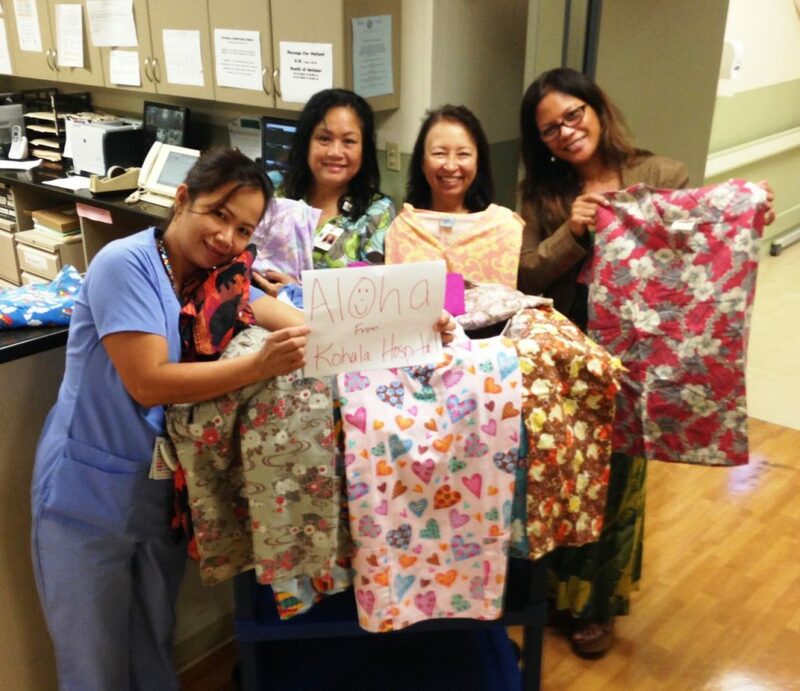 Kealakekua, island of Hawaii – Early in October, Kohala Hospital nurses and other hospital personnel joined a county-wide effort to collect scrubs for clinical workers in flood-soaked South Carolina. Interim CNE, Carmela Rice was one of many Hawaii Island nurses to receive an urgent text from a South Carolina (SC) emergency room nurse seeking donations of new or used scrubs for her fellow SC nurses affected by the devastating flooding in that state. Meredith Gibbs, a nurse who formerly lived and worked on Hawaii Island, described the devastation, saying that most hospitals were without water, necessary services were down and many nurses were either staying at work or sleeping in their cars. 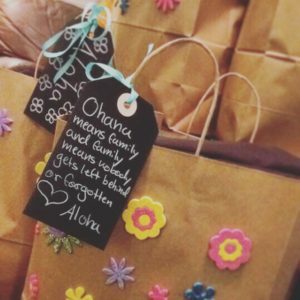 Kohala Hospital leaders announced the request at their daily meeting. Within days, clinical and other staff at the little hospital with a big heart had collected 40 sets of clean scrubs. Those scrubs, including many that are aloha-themed, have been packaged and are en route to be distributed to dedicated nurses in South Carolina. These scrubs were sent to Gibbs for distribution to dedicated nurses in South Carolina. Kohala Hospital employees, from left to right: Mayflor Kimball, RN; Cheryl Rocha, Activity Aide; Theresa Castillo, LPN; Carmela Rice, RN.